European broadcaster RTL Group has brought in an exec from the Brazilian branch of media and education outfit Bertelsmann as the CEO of its business in Croatia. Marc Puškarić will start work as CEO of RTL Croatia on July 1, joining from Bertelsmann Brazil Investments and the Bertelsmann Corporate Center in Brazil, where he is currently MD. 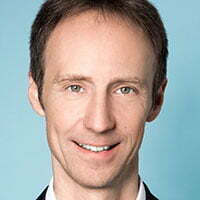 He succeeds Henning Tewes, who is moving to RTL Deutschland as chief operating officer of programme affairs and multichannel. Puškarić will report to Andreas Fischer, chairman of the supervisory board of RTL Croatia and senior VP of global operations management, broadcast and content of RTL Group. RTL Croatia was founded in Zagreb in 2004 and today comprises three free TV channels (RTL Televizija, RTL2 and RTL Kockica), three pay TV channels (RTL Living, RTL Crime and RTL Passion), digital services such as video-on-demand platform RTL Play, a music label and a dedicated channel for Croatians living abroad (RTL Croatia World).